Want to start using social media for marketing your business, but don’t know where to start? 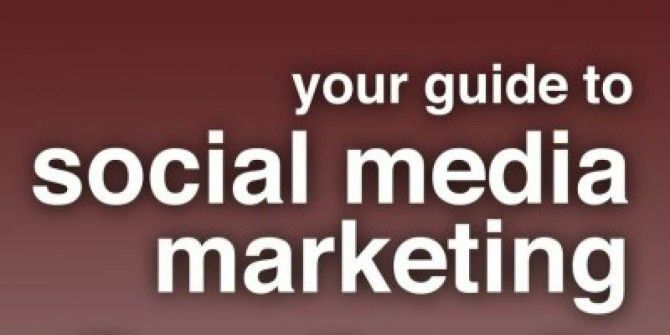 It’s time to check out the latest free manual from MakeUseOf: “Your Guide To Social Media Marketing” by author Mike Nichols of YourZulu.com. It skips past the hype–no promises of quick millions here–and tries to show you practical ways to grow your business using the major social networks: Facebook, Twitter, Pinterest, LinkedIn, Google + and YouTube. This guide is available to download as a free PDF. Download Your Guide To Social Media Marketing now. Feel free to copy and share this with your friends and family. Businesses of all sizes are always looking to get the step up on their competition. Often, there are questions lingering over them about return on investment, sales, and customer retention. Right now, there is an onslaught of both people and companies turning to social media outlets. The competition is fierce, and no company can waste time or money doing it wrong. It’s necessary to take action, but how do you know what the right course of action is? This guide is here to help you with social media for marketing. It is not designed to teach you the basic strategies of each and every individual social media application. There are enough of those guides out there. Rather, it is a course for maximizing response and bringing awareness to your company through these means. §3?–?So, What IS Social Media? Mike Nichols is a successful freelance copywriter, speaker, coach, and marketing consultant. With years of market research and marketing decision making under his belt, he prides himself on being able to become an expert on subjects quicker than most. This led him on the path to becoming a generalist in copy. While some writers focus on niche markets, Mike has found benefit in generalism. By taking the time to research a market, he is able to better put himself in the customers’ shoes. Every product is new and exciting, and he figures out what CUSTOMERS want to hear, rather than what COMPANIES want their customers to hear. Becoming an expert on a variety of niche markets, he was reminded of “The Zulu Principle”, a financial principle and book written by Jim Slater. The book covered the same ideas Mike was implementing in his writing, and so Your Zulu Writing was born. Put simply; words that work. This guide to social media for marketing is here to help. It is not designed to teach you the basic strategies of each and every individual social media application. There are enough of those guides out there. Rather, it is a course for maximizing response and bringing awareness to your company through these means. What does this mean? Glad you asked! Could it mean bringing in extra sales? Could it mean more people are going to visit your site? Could it mean you will be able to better manage your customer outreach and retention? How about brand awareness? Could it help with that? Social Media can provide invaluable benefits to your company. However, it is not only an outlet for directly increasing sales and conversions. Of course, when done properly, it definitely holds the capacity to do so. Why else would so many companies invest in it? If you take nothing else from this book, please make proper note of this. By increasing customer involvement through social media, you hold the candle which lights the way to increasing sales. This is not a manual about simply “hopping on the bandwagon”. I haven’t designed this guide to get you to the doorstep of success. I have designed it to give you the KEY to getting in the door, and the guide to making your presence known once you’re in! The pages are packed with strategies and techniques to advance your social media prowess. Yes, there are summaries of the basics, but I assure you, whether you are an expert, intermediate, or a novice, you will find value in this book. This guide is meant to be used as a reference on a regular basis. So, while you are encouraged to read it from start to finish, you can still pick up at any chapter and not worry about being lost. 3. So, What IS Social Media? Simply put: any interaction through web-based or mobile devices which creates a dialogue between two or more people is considered social media. The key to quality social media though, is that it provides a medium to display usergenerated content and encourages interaction. These sites allow for communications, typically referred to as “posts”, from individuals. It is all user generated, so the members decide what will be seen and what will not. Each application and site has its own display of, and variation on, the definition of what a post is. Still, they are all very similar. Posts can be videos, images, links, or simply just words. The important part is this simple fact: It is content posted for others to view, review, and critique. Most websites feature site logos, as buttons, for a means of quick posting. This allows viewers to post content directly from the site onto their chosen social media website. It’s pretty much a no-brainer as to which high quality social media sites are the most popular. You’ve probably heard co-workers and friends talking about them or seen the buttons on the bottom of your favorite website, but just in case you haven’t, here is a list of the most prominent sites with their associated functionalities. Coincidentally, these will be the ones we will focus on throughout this guide. • Twitter Largely text based. Posts are in the form of less than 140 character “tweets”. • Pinterest Largely image based. Posts are categorized. There are public comments on posts. • LinkedIn Largely text based. Posts are business oriented, and generally in the form of updates. • YouTube Largely video based. Posts are videos and a description. There are public posts, or comments, under all videos. • Google+ Largely video/text/picture based. Posts can be isolated to certain “circles” of friends. There’s no doubt that these websites are growing rapidly in popularity, but just how popular are they becoming? Let’s take a closer look at the potential of social media. • Facebook has over 800 million active users. Over 50% of Americans use Facebook. • With over 465 million active accounts twitter has over 175 million tweets everyday. • LinkedIn is the world’s largest professional network with over 150 million members. Is this enough to get the gears turning for you? Not quite there yet? How about the 11.7 million new visitors to Pinterest in January of 2012 alone? That’s over 11 million new people in one month asking you to show them your products! Imagine what you can do by tapping into these networks the number of impressions you can achieve, the breadth of your message, the number of people you can communicate with at once….do I need to go on? If you would like even more jaw-dropping statistics you can simply go to the sites respective “about” pages. They are publicly listed. Now that you are familiar with the social media sites discussed in this book, let’s get to the “bread and butter” of this guide strategies. 3.2 What Can Social Media Do For Your Business? Your social media campaign can wear all the hats of your business. It can increase sales, decrease customer service costs, acquire new customers, increase brand recognition, and more. It can influence nearly every aspect of your business. You simply have to condition it to do so. 3.3 How Do You Know How To Implement Social Media? “Conditioning my campaign…that sounds like a hassle.” Well, lucky for you, I have provided a 5 step strategy for constructing and molding your campaign. It is straightforward, and doesn’t have you dancing around multiple tangents just to get to your main objective. Oh, and it won’t leave your head spinning. It’s simple, straightforward, and effective. 4.1 What Does Successful Social Media Look Like? When you are starting a social media campaign, what are you thinking about? How to reach 20,000 fans, followers, or connections? Maybe even a more modest 1,000? Stop that thinking, immediately! Sure, aesthetically, these are metrics to aim for, but they won’t get you very far. Social media success is not about how many fans or followers you can get. Take a minute and let that register. Let it sink in, and always keep it in mind. Instead of counting followers, try to think about how much engagement you are getting from the followers you already have. When your customers are engaged, and willing to spread the word about your company, additional fans and followers will inevitably ensue. Let me put this into a little better perspective for you. A small company, which we will call ABC, with 5-10 employees, launches a social media campaign. ABC company has 1,000 fans, and 190 of them are posting about them or on their page. They’re still spending the same amount of money on customer service, and their website hasn’t received any more hits than what it was getting before. Sure, they made a lot of impressions and maybe gained some brand recognition, but it is offering no additional value to their company. ABC company has 500 fans, and 95 are posting about them, or on their page (50% reduction!). They look at their records, and they notice an increase in hits on their website, and at the same time, their customer service expenses are decreasing! So, even with less overall impressions, the content is driving their customers to engage, buy, click, or do whatever else the company would like them to! Remember, it only takes one person to get something out there. 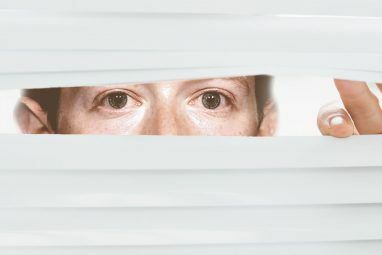 Through social media, one person could have thousands of connections at any given time. By having one person post something about your company, you have opened the floodgates for more impressions. That one person could deliver thousands of chances for someone else to connect, and if they do, that could lead to thousands more. Then if they post it….well, I think you see where I am going with this. My point is this: If you can engage even a small number of users, your possibility of gaining more followers can grow exponentially! So, how do you persuade anyone to become engaged, post, repost, and talk about your company? That’s the beautiful thing about social media. Most everyone who joins, do so to connect to others in some way. They are already looking for a reason to do so. All you have to do is provide them with something they can connect about. Now, that may seem easy. In fact, you could probably stop reading right now, go out and start posting, and have some success. However, should you choose to read further, you could learn numerous ways to maximize your return on investment. Instead of throwing your time and money out the window, you could be saving money and making sales. Like any aspect of marketing, social media marketing requires a directive; a game plan, a blue print, a flow chart, whatever it is….you will need one. The objective is to route your path to get from point A to point B. The social media for marketing strategy I have developed is simple and intuitive. It is designed to be implemented over and over again, so it needs to be! The process may seem daunting at first, but give it a try and you will find it isn’t as difficult as it seems. In fact, after getting familiar with the process, you can do it almost subconsciously while setting up your campaign. Each campaign can take you as little as the time it takes to click in and type your posts. 1. Develop your campaign objective. 2. Choose the right medium(s) for your campaign. 4. Set up a Content Management System / monitor your data. 5. Revise and repeat. Got that? Good. Now, let’s look at each one a bit more closely. The objective should be narrow and focused. A reasonable goal would be to engage customers in order to increase brand awareness. An unreasonable goal would be to increase sales and increase customer satisfaction. It can, and it will. Rest assured of that. The focus of each campaign will be different, but you can have multiple campaigns going on at one time. Business to business objectives on LinkedIn, customer relations on Facebook, research and development through Twitter, or any variation of these with other goals and services. Overlay your campaigns on a single platform, set them up with different schedules, and your possibilities are endless. There is no cookie cutter solution to using social media for marketing, and the processes and mediums will vary for each company. That’s why it is so imperative that the campaigns are thought out and developed, to minimize any margin of error there may be. Once you are able to identify your objectives and set up a plan of attack, you can sit back and let your community do the rest of the work for you. Plus, once you get familiar with this simple and intuitive 5 step process, it will feel like second nature. Here are a few things I would recommend having in your strategy. As I said before, everyone operates differently. So please, use this as a guide, and feel free to add anything that would help you personally. To better illustrate the points, I will be using three fictional companies from varying industries: Jack & Jill Legal Associates (JJ), Yum Yum Restaurants (YY), and 123 Retail Shop (123). Of course, I can’t portray all the benefits social media can bring to a company. What would you like to gain from social media interaction? • JJ would like to gain new clients from referrals. • YY would like to aid in customer service. • 123 would like to gauge potential for new product introductions. What is it you want your audience to know? • JJ wants prospects to know they can trust and benefit from their services. • YY wants customers to believe they provide only satisfactory services. • 123 wants customers to feel they are part of the company. • JJ hosts an open forum discussion. Customers are able to ask questions, see advice, and make suggestions. A representative of JJ is available for this time. • YY addresses any comments or concerns almost immediately. A representative of YY is available for this time. • 123 posts the product idea to an engaged portion of the community, and then analyzes the feedback. When planning your course of action, sometimes it may be necessary to plan a promotional period for the action. JJ for example, would post updates about an upcoming “open consultation”. This builds interest, and keeps it fresh in the minds of their followers. YY, on the other hand, wouldn’t have to take this action. Their campaign would be ongoing. Who are the people within your connection you want to reach out to? • JJ engages curious members, and past clients. • Y uses past customers with intentions of influencing future and returning customers. • 123 uses consumers who are engaged and active in their social media efforts. Congratulations, You have just defined your campaign’s objective! With the exception of the open forum discussion, nothing in these campaigns would take more than 30 minutes out of your day. In most cases, not even 15 minutes. You don’t need to have someone standing by, refreshing your page every five seconds to field consumer queries. There are solutions to streamline this process outlined in the ‘Social Media Management’ section of this guide. Okay, so you’ve got your objective. Now, we decide on the medium to use. Unfortunately, this part takes some trial and error. Fortunately, many larger companies have done the leg work for you. It will take some time to get to know your audience in each medium, so just bear with it and we can fix everything in step 5. To help you with this process, I have outlined the most successful functions of each as they have been observed. Statistics are provided from the Social Media Marketing Expo. Commonly used for branding. Retweets and trends are the quickest ways to get something noticed. 58% of users follow brands to find discounts. 39% of users follow brands for contests. If you have a sale, event, contest, or any limited time special, this is the place to post it. This can act as a very successful feedback tool and it is a great tool for local businesses. It has more of an open forum format. With the introduction of timelines, branding will become more prominent. Hands down, this is the best ‘tried and true’ method for business to business communications. With almost 2.5 million different businesses on LinkedIn, you have a vast opportunity to network with companies that could help you. Do you have a business with unique or new product ideas? Post them to Pinterest, and let its popularity carry the weight for you. This site is perfect for boutique or specialty stores. When posting, keep in mind, the American Pinterest population is over 60% female. The ratios are much more in most other countries. This is a very consumer driven site. It also lends itself well to Google’s other features. For our current purposes, that is the search function. Since it is so customer driven and pages from Google+ gain ranks in search results, this is a prime candidate for any business with a focused niche market. This is the king of viral marketing. If you don’t have videos to upload yourself, it is really only useful as a buffer for your other social media efforts. However, if you do have videos to upload, by all means use it. This is popular for service industries and industries with complex products. Tutorials are very popular. Consider your options, and then decide which network or networks to focus your campaign on. Ask any seasoned marketer, and they will tell you the same thing: content is king. This holds true for social media marketing. There are massive amounts of posts and tweets being thrown at a single user at any given time. So, it is important that your posts not only get noticed, but you make them count and they make users want to read them. Post videos, pictures, or links in every single post. No exceptions. Have you come across an article users may find interesting? Link to the article! Do you have information about your sale? Link to the sale’s landing page! Blog update? Link it! Video reference? Link it! New product? Take a guess…that’s right, link it! Alright! You found an article, you have a blurb about it ready to go, time to hit submit! They’ll look at your post, maybe click the link, and if you’re lucky they might even like it. This is all fine and dandy, but is that where you want their interaction to stop? Of course not! You would just be missing out on opportunities for valuable feedback. You’re able to get a consumer’s raw opinion of an idea or concept. Users feel more comfortable masked behind the veil of the Internet. So, take advantage of this! Finish your post with an open ended question or an invitation to comment. Add a personal feel to the question, and you will be shocked at the increased response rate you’ll be getting! Endings like “Any opinions?”, or “What do you think about this?” are impersonal, and will feel that way to the reader. Instead, endings like “Do you think you could implement these 5 hair care tips into your daily routine?”, or “This made our heart race, what is it about this video that gets you so excited?” absolutely feel personal. The more you can appeal to a person’s emotions, the more you can expect them to respond. However, it is important that you do not get too deep into the consumer’s emotions. There is a reason the public is so willing to comment. They don’t feel threatened. Once they feel threatened, they will stop trusting the source. Once you’ve made sure you have quality content, post it! Now, you are ready to start analyzing your hard earned results. • Check Facebook. New window: Check Twitter. New window: Check Pinterest….Repeat. If you are like me, these scenarios don’t sound the least bit appealing to you. Lucky for us, we’re not alone. Obviously, many others out there dread the idea of having to deal with such tedious chores. There are many easy and intuitive solutions for checking up on all your social media endeavors. So many, that it could drive you crazy trying to find the right one. A quick search on the web will prove that there isn’t a shortage of applications for you to choose from. With a little research though, you can find a perfect match for your business. Do you want a quick fix? Do you not want to deal with research? Okay, just bring up your favorite search engine, search for “Social Media Management Application”, and pick from the top of the list. The chances are whatever one you pick will probably suffice. However, the chances are, it’s not the best one for you. Heed my advice, save yourself a future headache and take the time to research and find one that fits your needs. Do you not even want to take the time to operate a search engine? Personally, I have the most experience with HootSuite. Its basic utility is free, and can be upgraded to an advanced account for less than $10 a month. It’s a general social media tool kit. It provides the basics, and provides them in a user-friendly interface. As we’ve established, every company is different. Different companies have different needs. So, instead of providing a list of recommended programs to use, here are things you can look for in each program. Do a little research, maybe some trial and error, and find one that works for you. Right off the bat, you can narrow your search by only considering applications with multiple data sources, or considering those with only one data source. If you are only using one social media site, you may want to consider a specialized program for that site. If you are like most successful companies, however, you will probably want a single program to support all of your different social networks. Whether your focus is developing your brand awareness, or increasing your sales, there are specialized programs for managing and monitoring these tasks. There are more goals that can be monitored through these applications than you can shake a stick at! Keyword tracking, article tracking, tracking your competition, uploading content, and so much more can be accomplished. Heck, you could write a whole book about the possibilities and still only cover a fraction of them. Your best bet here is to look at the features section of the program and decide for yourself what it is that you need. Will you be using your system to monitor your posts, track your data, or streamline content distribution? Many programs offer the ability to do almost anything you could want, and probably things you haven’t even considered. Make sure that when you do choose your program, you are fully aware of what it was designed to do. Nothing would be more tedious than trying to upload content quickly and having to go through a separate interface of data and statistics each time. Just as there are a variety of goals and actions, there are varieties of services catering to specific audiences. Focusing on business to business communications? Get a business to business focused application! More focus put on consumer interaction? You guessed it! Get a business to consumer application. There are hybrid applications available as well. I’m assuming you’ve got into the groove by now, and you can predict how this is going to pan out. Just in case you haven’t though, there are applications specifically designed for the needs of small, medium, or large businesses. If you’re a small business, you may not want to fork over the cash for a load of features you will never use. If you’re a larger business, the small business platforms may not be able to perform as well as you need it to, or provide the analytics you are looking for. If you can, do the research. Look into these topics, and make an educated decision which will end up saving you lots of time and money. Once you have your software picked out, get it set up and running for your campaign. Get your analytics set up and get familiar with them. We’ll break this down into three sub-steps. 1. Measure and monitor your activities. Follow the chapter on Calculating Return on Investment, and this will be a breeze. 2. Analyze the data and look at where you need improvement in your company. Treat this as you would any other implementation within your company. 3. Start back at step 1. There you have it, a simple strategy to effective social media campaigning. Now, let’s go ahead and move onto implementing the right content for each of the main social media sites. 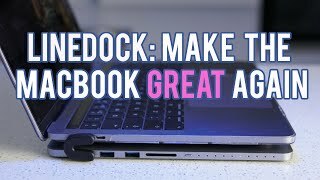 6.1 What Makes Facebook Such A Powerful Social Media Tool? Facebook provides the most comprehensive way to administer content video, images, links, immediate feedback, “likes”, and more. The other social media outlets offer these services, but don’t do it in such a user-friendly way. For example, Facebook enables thumbnails and previews of video and images, instead of just providing a link. This creates a much more engaging presentation, and you don’t have to do any extra work! It is important to make use of these benefits. So important in fact that you should never post ANYTHING without using them! Your followers are being bombarded by an enormous amount of posts every day. It would be all too easy for them to pass by your update without even a second thought. So, make sure all your posts have something eye catching and relevant attached to them. You have to draw attention, and provide incentive for people to like, repost, or engage in your post. If properly utilized, this is the bread and butter of Facebook, and the reason it is so popular. Before we learn how to use Facebook’s features for communication, let’s take a quick look at what your business page should look like and what it should contain. Let’s start with the first thing anyone is going to see, your profile picture. Short and sweet, here’s the scoop make it your logo. Unless you are freelance or an individual, you should be using this space to maximize recognition. What better way to do that than with your logo? The profile picture will be the image posted next to your company name in the search results. Simple and effective images that are clear, concise, and easy to see are the best to aim for. Once a user clicks through to view your page, they are brought to a page with everything available posts, pictures, comments, followers, etc. Take a look at a page of any business on Facebook. Whether they have used it or not, there is a large space at the top of the screen. This space is reserved for your cover photo. This is your ultimate opportunity to convey your branding message. This is very versatile because it doesn’t have to be recognizable from a list or search engine. That’s what your logo is for. So take the time, and develop the message that you want to convey with this image. Some companies, like Apple, use this section to showcase new products, usually with a stunning image of one of their products or services. Other companies often use this space to promote their newest slogan. The image is versatile, and should be used as such. Most successful Facebook campaigns will change their cover photo semi-regularly. While versatile, there are some rules you must be aware of. 1. Contain pricing or promotional information. 2. Contain contact information, or information which should be on the “about” page. 3. Reference features of the site. Treat Facebook as you would any other medium of publication. Only use content you retain commercial rights to, and be sure you are not using false advertising or misleading content. Please remember that I should in no way be considered a legal consultant. Please refer to a professional for matters in relation to the legalities of conduct. This information is merely speculation based on the guidelines provided by Facebook. Once you’ve got your profile picture and cover photo set up, we can delve into the rest of the page. Your timeline sets up all of your posts chronologically. Your newest posts are listed on the front page, and previous posts are archived by date. They are ready to be viewed and searched with a single click. At the top of your timeline is a space for a pinned post. You may select one of your posts to be placed at the top of the page, and have it stay there, for about a week. There is a very convenient section with current posts from followers who have mentioned your brand. Use this section to communicate back with them. This is where much of your customer service value comes from when using Facebook. Never before have you been able to communicate with customers in an open forum, and in real time. You can provide immediate responses to resolve issues, or calm an upset customer. Yes, all businesses deal with the negative comments, but they will also get to experience the positive ones. It is important to address these comments, rather than deleting them. You may read it and think “Oh, I can’t let other customers see this! My reputation is on the line!”, and well… that’s true. Deleting this post won’t help your image at all though. As it is all in real time, there is a chance someone else will see the post before it gets deleted. If customers find out you are deleting negative posts, it would be all too easy for them to call you out on it publicly. Instead, address the post in a sensible manner. Use this opportunity to showcase your company’s ability to handle poor situations. Every company has an issue from time to time, which can’t be avoided. Customers expect this, but what they also expect is for the situation to be handled properly. You could delete the post, ignore it, OR you could respond with an appropriate apology. Simply, think of this as an opportunity for customer engagement. Essentially, it’s the same message. There are a couple differences though. The first response takes responsibility, and makes it seem as though you try to keep these situations from happening. It also doesn’t assume no further action was taken. Asking the customer if they tried to speak with someone makes them feel as if you are trying to pawn the blame to them, but asking if they were able to speak with someone creates the idea that you care about whether they got the problem resolved. It’s a subtle difference, but the effect is massive. It takes them off the defensive, and allows them to give you further feedback. This feedback will provide more opportunities to engage the customer. Sometimes, it can be easy to feel a personal connection with some of your followers. It is important to avoid becoming too personal. Remember, the feeling of security the Internet provides users when commenting and posting is invaluable. Do not alienate your consumer, and they will stay receptive. Always keep in mind that you are a business. If a customer were to walk in your door, how would you ideally treat them? The use of the Internet actually makes this easier for you. A negative comment may infuriate you, but take the time to calm down, and you can avoid any harsh language. Think of the number of times you have had to deal with an irritating customer. Did you say things you wish you would have said differently? Say things which you needed to find justification for in your head later? We all have. Take the time to calm down before you administer a response, and remember that you are a business, and you should be fine. One last little tidbit about Facebook’s effectiveness: it allows for people to “check in” to your business. This is strictly user generated, but it is a very nice bonus to your branding potential. Checking in allows for a user’s friends to see where they are, and when they are there. It’s just another way Facebook helps to get your brand name out there, and recognized. Twitter, a micro-blogger’s heaven. Using 140 characters or less to convey your message to an expansive audience. 140 characters may not seem like much, but that is really all you need to get your message out. “Tweeters”, as they are called, often don’t spend more than a few minutes on Twitter at a time. On the bright side, most log in multiple times a day. It is this structure that makes it different from other social media sites. It is also because of this that content and scheduling are very important. Finding what time your users are logging in, and more importantly taking action, is crucial to your Twitter success. Some companies will launch 24 hour campaigns, and while this may appeal to some of the international audiences, it is not our goal. When your other users log on, the last thing you want to do is have massive amounts of tweets for them to pour through. So, take some time, implement some trial and error, keep track of the number of retweets, keep track of the number of mentions, and analyze the data to find the times throughout the day which your audience is most active and receptive. Focus your efforts on these times, and occasionally post outside of these parameters. Outside of social media scheduling, which is pretty universal through all social media mediums, my experience with Twitter is limited. Surprisingly, I have the least amount of experience with this out of all the social media outlets discussed. Due to this, I have called in the help of a friend of mine, Mark Johnson. Mark is a social media veteran. He has run multiple Twitter campaigns for various companies, including work with the Formica group. He has incorporated different utilities within his campaigns with great success. Common utilities include Slide Share, YouTube, and other media venues. I held an interview with Mark regarding one his most recent campaigns. It was a 24 hour campaign, but it showcases many of the important aspects of twitter. It yielded impressive results. We’ve discussed the potential for Twitter to be used as a brand marketing utility, but Mark’s project truly demonstrates this capacity. Me: What seemed to be one of the largest success factors within each tweet? MJ: In previous social media campaigns I’ve seen that hashtags like #SocialMedia #Twitter and #SM, drive clickthroughs. Social media is a hot topic and it seems these hashtags are followed by a lot of people looking for online content through Twitter. I only use hashtags that are relevant to the link within a specific tweet, otherwise you lose credibility with your followers on the value of reading your tweets. Carving out a niche in the online community based on your background and expertise is a good way to attract relevant followers. Over 60% of my tweets include links to websites, blogs, photo galleries, e-newspapers and videos. I make sure that these links provide relevant topical content to engage my followers a click beyond reading my tweets. Me: Alright, content is king as we all have heard, but what about your distribution schedule? MJ: I decided to try tweets around the clock on this campaign rather than just 8am to 10pm ES, as I’ve done in previous campaigns. I scheduled 8 tweets a day spaced 3 hours apart as an experiment. The first night, I was surprised to see how many click-throughs came from the United Kingdom because of this 24 hour approach. This pattern continued each night of the campaign. The pattern was an exciting discovery, but I assumed it would be repeatable for English speaking countries only. I’ve done other recent campaigns and seen France and Spain come through as the ‘number two’ country for clickthroughs. My conclusion is there’s a lot to be gained from running a 24 hour campaign if you have content that is international in scope and it transcends language barriers. Me: Wow that is a great discovery! Any other surprising results from this campaign? MJ: Prior to this campaign I had only achieved 50 or more views per tweet for links to design content in the Google 3D Warehouse. I was delighted to accomplish this with SlideShare as the destination. My conclusion is that relevancy of tweets is only part of the equation. The other part of the success in reaching 50 click-throughs per tweet is leveraging a large, engaged community. Me: So what, in your opinion, is more important when using Twitter – the number of impressions, or high conversions? MJ: Twitter is all about numbers as well as content. If you don’t have an engaged following that will retweet and mention your tweets, you need an even larger base of followers to drive impressions and ultimately conversions to clickthroughs. A large number of impressions sounds good in a campaign summary but if the conversions aren’t there, it’s not a service companies will pay for. So I think conversions trump impressions. Me: So, with engagement being so important, how often do you engage with the community? MJ: During a campaign, I watch retweets and mentions closely. I reply to every single one of them! It shows that I appreciate their engagement and they often become a closer follower for having made a connection. I call it ‘Twitter ettiquette’ and everyone appreciates the courtesy of being acknowledged. It also helps drive impressions without all the tweets originating from me. It seems less self-serving in this way. For example, one of my tweets across both of my Twitter handles creates 7,000 impressions. A retweet from someone with 1,000 followers is terrific, for a total of 8,000 impressions. But if I thank them for the retweet and include the link, that becomes 15,000 impressions. As Mark helped us to illustrate, providing content is still the most important factor of a social media campaign, but numbers do help. He also made it a point to acknowledge the use of links in every post to drive opportunity. Mark says that any post without content ‘is just chatter’. Pinterest is a hot topic for many companies, and for good reason. It is topping the charts in terms of expansion and viewership, and it is enabling the “underdogs”. Pinterest is a device which allows for the boutique and small shops to get their products seen. Due to its user driven interface, the “push” effect of a product is only left to its individual qualities. Your product must do the talking for you. You only get one sentence or so to communicate with the public, and to tell them exactly what your product is. From there, it is in their hands. It is up to them to pin, comment, or spread the word about your product. If they don’t like something, it will simply fall to the wayside, and there isn’t much for a company to do (there are tactics for spreading the word, but largely, the success rides on the public). Pinterest is different from the other social media cannons. On other sites, you can load up your product, light the fuse with your message, and “bombs away”! With Pinterest, you can load up a product, but the public has to light the fuse. This may not be as daunting as it seems. The public of Pinterest is signed up for the site because they WANT to be shown products, they WANT to find new and cool ideas, they WANT to light your fuse. So by all means, give them a reason to. If you are confident in your product, load it up. Be aware though, there is a self-governing aspect to Pinterest. While other sites may promote mass amounts of uploading, Pinterest focuses on quality uploads. By taking away the ability to self-promote, users aren’t over burdened by loads of pages and products they don’t want to talk about. A heap of garbage is rarely interesting to talk about, and is always more of a nuisance than a pleasure. Think about it. Say your company is just posting products and pages that would promote the business. Is anyone else interested in promoting your business? We’d all like to think so. The sad reality though, is the general public isn’t driven by promoting us. They are driven by what they get out of the product. Pinterest revolves around re-pins and discussions. No one in the mass market is going to re-pin your post, just to promote your business. They are going to pin and discuss because THEY benefit from it in some way, not you. This is a harsh reality, and can be hard to adjust to for anybody. I mean, after all, we are only joining this community to promote ourselves, right? Once we come to grips with this, we can then begin our quality posting. Now, you think you are ready to post. You have the next big hit. This thing is going to get famous! At least, you think. How can you make sure things go exactly as they are planned in your head? You have to understand the Pinterest user. Pinterest is used to “bookmark” anything that seems interesting. Maybe users don’t want to look into it now, but they would definitely be interested later. They want no they NEED to be able to get enough information to persuade them to pin something on their board. This way, they can look into it more when they get around to it. So many items are pinned because they seem interesting, and pinning is so easy to do. This leads to many spur-ofthe-moment pins. Use this to your advantage. Make the product look as appealing as possible. First and foremost, the image. Whether it is stunning, captivating, thought provoking, or humorous, it needs to be able to grab attention, and grab it fast. There isn’t much else to it. Your run-of-the-mill stock photography image may not cut it this time. Think about posting about a vacation getaway spot. Now, imagine how many of these are already visually stunning. Now, think about how your mind reacts to the image. Yes, it’s beautiful. Yes, you want to be there… But, where is there? Why is it any different than the oodles of other pictures of similar places? You need to put the viewer there, but you need to do it without letting them get distracted by anything else. Try taking the photo from one of the balconies overlooking the majestic pool, peering out over the silhouettes of palm trees, and into the majestic beauty of the crystal clear ocean at sunset. You have just taken the viewer off every beach in the world, and placed them into YOUR condo. You will still be competing with every other beach side getaway, but now your viewer can feel its difference. is their mind on the experience they could be getting? No, their mind is on the people what they are wearing, who they are, what they do…anything about them. This makes a very fine line to be walked. So, let’s take a look at another product, something a little more tangible than an experience. 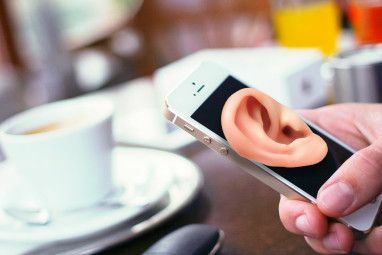 For the sake of example, let’s pick something else which many stock photos could be used. Say, a purse. When you use a picture of something like a purse, you want your viewer to imagine themselves wearing the purse, right? So what better way to do that than showing them someone like them, wearing the purse? Wrong! You want the purse speaking for itself. The viewer will automatically begin thinking of their outfits, and their wardrobe, things they could match with the purse. By placing someone else in the picture, you are only enabling them to look at the person, and notice other things about them. Maybe they really like their shoes, or their outfit… These are all just opportunities you are giving a potential user to look at things which are not your product! Okay, we have our enchanting image, now on to the next detail! This one is easy, as long as you don’t complicate it. Simply put, describe the product. Don’t make it fancy, or try any gimmicks. We’ve established the viewer wants a quick idea they can research later. Give them the information they need, and move on. You can have a little fun with it, but always remember: Quick and informational. • Effective: This is the ocean view from one of the many bayside balconies at ABC resort. • Not Effective: Imagine yourself, basking in warm glow the sun with an ice cold tropical drink, overlooking the ocean every night. Paradise found. Leave the latter to your viewers to say and think “now, how do we bring people in?” Didn’t I say this wasn’t your job on Pinterest? Okay, I may have fibbed slightly. It’s just not your job when posting. Instead, spreading the word about your brand comes from taking part in group discussions. There are often groups and posts generating conversations on Pinterest. This is your opportunity to shine, but it is not your time to advertise! Your goal in these groups is to communicate. Answer questions and make valuable comments. The better you answer and the higher quality of comments you make, the more you are seen as an expert, or a go-to person on the matter. With this, comes visibility. If you advertise yourself, it will discourage buyers. Keep in mind the basic mentality of the Pinterest user. They are not there because they want to hear what you have to say about your product. They are there because they want to find something of value to them. If you make yourself visible and valuable, they will find you. Make yourself visible and worthless, and they will avoid you like the plague. LinkedIn may be a slower growing form of social media, but this does not take away from its power as a business-building tool. Instead of filling their ranks with every person they can, the focus of LinkedIn is to provide a purely professional tool for companies and individuals. The ability to post pictures and videos is limited, but it is made up in the aptitude of profile completion. The typical LinkedIn profile offers much more information on the individual, the company, or the organization. With just a glance you can find contact information, testimonials, referrals, references, and more. Utilizing these tools helps you to become a powerhouse business at any level. A complete profile is the easiest way to let people know who you are, what you do, or what you will be doing. Important Consideration! The user is not looking for all the information about your business. They are looking for a reason to further research your company. You have other ways to provide all of that extra information. Let’s take a look at how you can optimize your profile for business. Use your logo. Simple as that! This is not the place for employee or team photos. Those are fun, but ineffective in this market. I apologize for the harsh tone, but I have seen too many companies use a “fun and friendly” picture in place of their logo. This is an opportunity to create brand awareness. Get your logo recognized and in the mind of users. Here is your opportunity to really pack a punch with your words. After noticing your logo, maybe even prior to that, this will be the first thing your prospect sees. If you had a few sentences to really let your customer know who you are, and what you stand for, what would you say? A common mistake is to create a generically powerful statement. Yes, you may have powerful words, but do those words really describe your company? Your objective here is to make sure that your message couldn’t be applied to any other company! At ABC company, we take your business seriously. We are a dedicated group, working together to create a solution for your product or service. We take pride in our work, and pride in our clients. When you want to captivate and pull your audience, you can count on us! Yes, this is compelling, but it speaks to a general audience and provides a general solution. At ABC company, we’re serious about your business. So serious in fact, that we assure you, our experienced senior staff will be directly involved in your project. Are you looking for increased awareness, compelling graphics, or iconic logo design? Look no further. The difference the latter provides descriptive ways your company provides superior service. It targets specific issues someone may have. If you are looking for someone to design your logo, who would you be more inclined to go to? 9.3 Wall Of Text? Thou Shall Not Pass! Many companies will provide a lengthy description with a list of achievements, products, or successes. Yes, these are nice – and should be showcased, but there is a place for that. This is not that place. You want to be brief, and to the point. As with all webpages, readers skim, and pick out select pieces of information to read. Again, your purpose is to give them enough information to satisfy curiosity, and then push them to do the research. Provide a link to your website, or tell them where they can get more information on what you have outlined. Simple as that! Keep it short and sweet. Feel like I’m beating a dead horse yet? Well, it’s important! You want to showcase your products and what they can do, and I get that. That’s why you need to post one or two benefits of the product, and not features. Tell the customer what the product can do for them and be done with it. That’s all they really want to know at this point anyway. As outlined in the overall social media strategy in chapter 3, posts should be limited to big events, product launches, or other important notifications. There should always be a call to action, or something for the reader to interact with. So you have your information all locked in and are waiting for users to come to your page. Why wait? There is plenty you have to do that can benefit your business! Use LinkedIn to better your connections. Use the search function to find suppliers, distributors, or retailers who can help your business. The site provides you with the perfect means for finding companies that can streamline your operations. Find local distributors, communicate and build a relationship with them. Find out where you can get pricing and product listings. Perhaps you can save some cash by switching! Need to shop around for a copywriter, graphic designer, marketing director, etc.? Use LinkedIn yourself! Post your need, search for copywriters. The site puts the ball in your court. Unbelievable! Your competitors are posting statistics, events, expansions, and inside information on their public profile?! You bet! It’s all part of communicating to the public. Why not use this to your advantage? Who knows what you might stumble upon! You see your main competition is looking to hire someone as a social media director, or maybe you notice they don’t have one yet! This could be your opportunity to step up and take the bigger piece of the pie first! Speaking of “bigger piece of the pie”….you’ve set up your social media accounts, and have created videos to post for your followers. How can you use the video to get that larger market share? So, the question we have to address can YouTube compete with the other forms of social media? My answer is it doesn’t have to. YouTube can be used as a branding mechanism, or it can be used as a buffer for marketing efforts in place. Either way, it should not be the primary utility in the campaign. Let’s take an in-depth look at what we can do in our social media campaigns to make full use of YouTube. As a branding mechanism, their video sharing service can top the charts. Videos which become overwhelmingly popular are considered to be “viral”. A successful viral video holds the capacity to obtain millions of views in a very short period of time. Many campaigns use multiple appeals in their videos, but many are successful just using one, and using it well. As an example of a company focusing on one approach, we can look at Old Spice’s most successful viral videos. Having two separate campaigns — one featuring Isaiah Mustafa, and the other featuring Terry Crews — Old Spice uses outlandish humor to create appeal. It’s also about time we mention the Kony2012 campaign, one of the most triumphant campaigns to date. Whether you agree with the campaign or not, it was the fastest growing campaign of all time. It took only 6 days for the video to reach over 100 MILLION views. How did it do this? Well, they did it by creating the right blend of excitement, emotional appeal, and striking information. There is no algorithm or formula to let us know just how to create an insanely successful viral video. One thing is certain though; using YouTube links in your social media posts, and embedding videos on your website does increase both click-through and conversion rates. 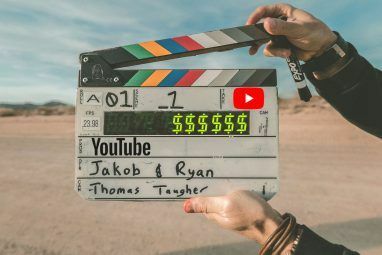 This section is not about what content you should be putting in your video, but rather, how to communicate with your audience to create the most successful campaign you can for your video. 10.2 Buff Up Your Current Practices! Do you have a product page you wish was converting more sales? Embed a YouTube video showcasing the product, or maybe a demonstration of how to use it. You can use videos on landing pages to answer all the questions you WANTED to answer in your copy, but didn’t want to take up all that space. After all, the point of Internet copy is to be short and to the point. You can also use YouTube to promote your television ads, or create new ones to put solely on the site. Create a video, and viola! You now have a FREE medium for exposing that video. In our analysis of YouTube content, I have included some ways to make sure your videos get seen. The bold faced lettering above the video, and the words used in the hyperlink; the title is going to be the first thing anybody sees. So, you want it to be good…. right? It will dictate your click-throughs on searches, and act as the primary descriptor for your content. Of course you need it to be good! Make it effective, and relevant. The words under the video. As you could have guessed, the description is used to describe the video. Explain the contents, provide further information, or provide a call to action. The script does not need to be as compelling as the title in most scenarios; the user can gather much of the effect through the video. There is also no need to be clever or cunning in your description. It is there mainly for informational purposes, but a good description, as with the title, can be used to skyrocket the visibility of your video. TIP Adding a URL to the description, rather than just providing information, increases click through rates by a surprising amount! Also, placing it at the opening of a description is more effective than placing it anywhere else. If you choose not to place your URL at the very beginning, at least make sure it appears “above the fold”, or above the “read more” button. There are two key components to creating a solid title and description relevance and the ability to gain recognition. Gaining recognition can be done in two main ways. It can be attributed to hits through search results, or through clicks from links posted by users and the creator. To gain recognition, it is common practice to implement keywords. I recommend finding successful videos with a similar theme as yours, and then implementing the same keywords they are. This scenario is one of the few where it is okay and even recommended, to “piggy back” on the success of others. There is no need to over-saturate your post with keywords. Be practical, and imagine what kind of keyword stuffing would turn you off when looking for a video. YouTube provides a place for you to place “tags” which are simply keywords your video will be associated with. Feel free to spam your keywords here. Focus on relevance when writing your title and description. Sure, you could have lots of people see your post for popular keywords. This may seem like an easy way to the top, but it’s far from that. As soon as the user starts watching your video, and finds out it has no relevance to the material in the title or description, they will click out. Once they click out, your chances of getting that video reposted by that user are slim to none! The user may “dislike” the post, which over time will put you at the bottom of search rankings anyway. Your video may even be removed from YouTube. The point is make it relevant, don’t try to scam your users, and you shouldn’t have to worry about these problems. Comments in YouTube are different than comments in other social media networks. There is a striking commonality for YouTube comments many are negative. Some of the negative comments aren’t even a testament to the content, simply just people being rude, inconsiderate, or trying to make a joke. You may have the urge to defend yourself. Don’t. There is a high probability that you will find yourself in a crossfire of accusations and immature banters. Leave it be, and leave it to your following to dispel the negative comments. I am not saying you shouldn’t pay attention to the comments, by all means DO pay attention to them. Instead of taking them to heart, take them for what they are worth. You never know when a decent comment will slip through the cracks. Constructive criticisms, recommendations, and even praise often come through the comments section. While you are focusing on not letting the negative comments strike a nerve, make sure you don’t let the positive ones go to your head! While you receive misguided negative remarks, you also gain blind praises. So, just as you did with the negative comments, filter out the useless positive comments. Focus on the comments which actually will provide useful feedback and information. Yes, this social media for marketing guide even addresses the username. This is what others will see when they look for who posted the video. It is important and not time-consuming to have effectively done. It is still something that is done wrong too often, and can be improved upon with a single tip! Are you ready for this brain busting, eye popping, daddy of all tricks tip? Make it your company name. Is the name taken? Make it something affiliated with your company, and something users would recognize as your company. Seem simple? It is, but I have seen numerous companies posting videos through single user accounts. Their social media guy has an account already, why not just use his? Because that user may have unrelated, inappropriate, or personal videos linked to his account. You also lose out on brand recognition, and the ability to customize your company’s YouTube page. This section will be a little shorter than the other social media sites. This does not mean it is less valuable, or of lesser importance. Instead, the length of this is simply the inability to foreshadow what Google will do to increase implementation. I can’t give as much advice on this topic because, well… I don’t know what their program is going to look like in a few months. features to their repertoire. One thing is certain, though: there is great potential with this platform. It’s an entity of Google. Plain and simple, they have pull in e-commerce. For example, they started adding Google+ pages at the top of search results. These pop up even ahead of the companies that have spent lots of money on optimizing their site for search engines. With this, comes inevitable opportunity. 11.2 Can’t You Do More Through Other Sites? Do more? No, you can do more with Google+. Does it have the following that other sites have? Not yet. You cannot deny the power of Google+ to break into niche markets though. Google+ provides a search function, and allows you to search for keywords within your market. Use this to target active collaborations, and join them. Once you identify some target markets, do your best to engage them. You can use similar tactics as you do through other sites, but you can also do more. Google+ provides “hangouts”, and many times these can be video conferences. You can surprise a fan by showing up in their hangout (Imagine someone you are a fan of, showing up just to talk to you and your circle. What an honor!). You can also host hangouts of your own. Invite your circles in to discuss and chat. Create an open forum discussion on hot topics for your group, provide a Q&A, address some company breakthroughs, give some inside information (within legality, of course), and do whatever else you could possibly think of! You can also promote these events through your other social media channels. Some may even sign up for Google+ just to attend! Since Google+ makes your market so targetable, it is the ideal candidate for niche marketing. The personability of the platform makes it stand out from the rest of the sites. Again, there is no telling what Google will expand on, or what implementations will be made, but it is better to get your foot in the door, and become familiar with the platform before it gets saturated. With realistic goals, proper planning, and quality effort, there is little to no possibility for your efforts to fall short of meeting expectations.That may seem like a gutsy statement, but it’s really not. Why should there be reason to fail? You have thought out and planned your clearly defined set of goals, determined they were achievable, and developed a reasonable plan of action with realistic movements towards making it to those goals. All this talk of “reasonable” goals, but you may have no idea what “reasonable” even is! Why don’t we ease some of that anxiety? As much as it pains me to use such a vague terminology, “reasonable” may be the only word which can properly describe our objectives. Think about everything we have gone over so far. Have there been ANY strict rules applied to social media? The answer is no. As we have addressed many times, there is no cookie cutter solution. This means there are no cookie cutter goals. Every company is different, and the realities of each goal will hold different rationale for every company. Luckily, you probably have access to more logistics in your company than most do. You know the metrics your campaign is competing with, and you know what expenditures would produce a break-even income. To calculate what your campaign is worth, we will take a two-pronged approach. Using marketing value and extremity value, we can calculate a valid value. First, take a good look at your current marketing costs and their worth. Establish numerical values to each metric you measure, and apply that dollar value to the same metrics for your social media campaign. Then, take inventory of the status of all additional practices you are looking to better through social media. These can be sales, customer service costs, customer retention, and new customer acquisition costs. These are your extremity values for marketing campaigns. Similar to the other forms of marketing, there are a couple of metrics we can use for social media. These all fall under two qualities exposure and extraction. These cover both prongs of the approach. Their use will be different for each company, and there can be even more metrics used if you want to delve in that deep. These however, are sufficient even if you should choose not to track all of them. The outreach of your program and how many people receive impressions. • Page Impressions – How many people visit your social media page daily. • Post Impressions – How many people see your posts. • Webpage Impressions – How many people visit your webpage in a given time. • In Store Walk-Ins – How many customers visit your brick and mortar store front. • Calls – How many calls you receive throughout the day. Actions customers take that provide value to your company. • Likes/Followers – Individuals have expressed loyalty, act as retained customers. • Sales – Actions which provide cold hard cash for your business. • Reposts/Mentions – Should be viewed as exposure, but requires action by the user. • Follow Throughs – Completion of a task (downloads, sign ups, learn more, etc). • Feedback – Direct feedback for your company, both positive and negative. A business can use any collaboration of these metrics to view the effectiveness of a social media campaign. Some are straightforward, and some are not. For example, someone liking your Facebook page can attributed directly to your social media campaign but what about sales? You have sales coming in, and being attributed to, many facets of your business. I mean, that’s why companies have a sales team! Well, when you implemented your social media campaign, did you incur an unnatural increase in sales during that period? If so, subtract a common deviation from the influx, and that is what can be attributed to your social media campaign. This strategy can be implemented across the board. Have you noticed a reduction in customer service costs over the period of your social media campaigns? Calculate your net cost reduction after considerations for deviation, and that is your return on that aspect of social media. Now, when do you measure these attributes? As usual, they will vary by company. Chances are, your social media campaigns will not become overnight sensations. So, adjust the metrics you use, your expectations, and your expenditures accordingly. This portion will take some molding, but once you find what is right for your company, you can stick to it for a long time. The process of measuring return on investment for social media can be complex, and it can be simple. Either way, make sure you are measuring using consistent metrics. You can measure effectiveness across the board, or across a select few domains. Just remember, always, ALWAYS, measure consistently. We have danced around the subject a bit throughout this guide, but let’s nail this down right now. Social media is NOT simply about brand marketing. As I’ve demonstrated through the given metrics for measurement, there are many different ways social media marketing can develop your business. It is valuable as a branding method, but it is much more than that. For this reason, things like fan base, or number of followers are not as important as the amount of interaction you get from the user base you have. If you can increase interaction, your extraction metrics increase, but your exposure metrics remain somewhat constant. It works the same the other way around as well. Measure your marketing value and the value of improvements in the extremities. Apply both exposure and extraction methods to monitor these effects. As a parting gift, here’s a selection of tips and tricks. Some of these are here because they are valuable across the board, some are handy time savers, and some just didn’t fit in anywhere in the guide. Most sites will let you opt in to connect one profile with another. Twitter will let you use Facebook, YouTube will let you use Google+, and so on. This allows you to post to multiple sites, but you only have to deal with one post. The post will get sent out to all of the sites in the ‘chain’. The key here is to simplify your processes, but doing so without losing the value of those processes. If you are trying to link LinkedIn and Twitter, but your Twitter account is more personal and friendly; you may want to consider keeping them separate. Due to the nature of LinkedIn, keeping that business oriented should be the focus of your content. This rule applies to social media sites across the board. It may be necessary to monitor each one closely when you first implement this, but in time, you will be able to figure out an optimized solution for your needs. Whether you have a blog, a website, or just a slew of social media websites, you can post links to each site from the others. As mentioned in the first chapter of this guide, if you have a website, you can use plug-ins to create buttons which automatically let users upload the content to one of their social media sites. The effect is simple, providing a medium to share will cause people to do so. Plus, if someone likes the content you post on one medium, they may be inclined to follow you in other mediums. Sometimes it can pay off big to experiment. If you want to try posting something for comedic relief, but you don’t know if it will go over well, try it! A key point here is to make sure it’s not something which is offensive which would rub anyone the wrong way – unless that’s what you are trying to do. Always remember, it’s easy to forgive a post. If you have a post that doesn’t succeed, YOU will be looking at it for a while. YOU will dwell in its failure. YOUR CUSTOMERS will not. Chances are, if it didn’t work for them, they have already moved on to the next page and totally forgotten about it. Studies have shown that providing an incentive, like the opportunity to win something for following a site, have increased the number of likes or followers. • Create a free giveaway. Advertisements are often seen as “spammy,” but because of the very keen targeting social media sites are able to provide, companies are able to market to a more receptive community. Even if the ad is seen as “spammy,” (try to stay away from this) the ad will provide recognition and some subconscious brand marketing tactics. More exposure often equates to more followers. Here is a fun little way to get more likes, followers, and engagement. When you create a post, allow your users to finish the sentence, or ad lib their own words into your post to create their own message. Use this only on occasion, and do your best to try and use it appropriately. That being said, let’s face it people love things like kittens, puppies, and babies especially Internet people. They also love feeling as if they are apart of something bigger. Add an adorable picture, or call attention to a cause, which pulls on the heartstrings of the public. Interact yourself. Join discussion groups revolving around your industry. This is covered in a few of the sections, but it is worth a second, or maybe even third, mention. The more quality information you can provide through these groups, the more your company is seen as an expert. It also promotes you as someone who is willing to help; a customer friendly company interested in more than just their profits. Current events are a good way to get conversation started, but it is also a good way to get lost in the crowd. For example, Facebook will often combine posts about similar topics into a convenient drop down selection for users. The majority of posts are hidden from plain view, and require action to become visible. This is just another step for your users to have to take to see your posts. Extra steps for your users are generally not something we want you to aim for. One exception to this rule is when using Twitter. The nature of the program allows for minimal time to be invested, and equality in the visual space each post receives. Explore more about: MakeUseOf Guides, Online Advertising. It would be great if you could download this as a PDF, is there a version I could get so I can view this offline? Marketing is really essential for any business and social media really a good platform for any business.